You are at: Home / Agora / Election Watch: What are Greeks voting for? Election Watch: What are Greeks voting for? Rarely has Greece gone into an election period with so many pieces in flux as it is now. The only thing we know for sure about the 20 September ballot is that we really can’t be sure of much. The first wave of opinion polls published last week have not helped to clear up any doubts. In fact, they have added to the confused picture, failing to answer the key queries we had going into this brief campaign. These include: How will SYRIZA bear up under the pressure of signing the third bailout and subsequently enduring a split in the party? Will the SYRIZA rebels who formed Popular Unity have any discernible impact? Will coalition partner Independent Greeks make it into Parliament? Will PASOK sink or float after its recent leadership change? Will Evangelos Meimarakis’s homely style manage to revive New Democracy’s fortunes? Will Potami, the self-styled exponent of the new and uncorrupted, grab more of the public’s imagination? Then, there are the most existential questions. Can Alexis Tsipras be trusted after his turbulent time in office? What separates SYRIZA from New Democracy, Potami and PASOK if they are all pledging to implement the Memorandum of Understanding? Is there still any hope for the idea that Greece can remain in the eurozone without having to implement austerity policies mandated by its lenders? Is there a credible way in which Greece could exit the euro and not suffer greater hardship? Perhaps, though, the one key question that has not been answered so far (and is unlikely to be answered by election day) is why Greeks are going to the polls later this month. SYRIZA argues that what is at stake is keeping alive the dream of breaking with the past and the comprised parties that led Greece to the current crisis. However, during its six months in power, Tsipras’s party showed little of the zeal for a clean-up that it claims it has. The SYRIZA leader points to a dusting off of the Lagarde list of Greeks with deposits in Switzerland and plans to put broadcasting permits to a new tender, but he has few tangible results to show. New Democracy claims that it is a more reliable option than the flitty SYRIZA that took Greece to the edge of a euro exit this summer. But when it comes to claims of responsibility, it is difficult for voters to forget that it was New Democracy (under Antonis Samaras’s leadership) that was at the forefront of cultivating the anti-memorandum culture in Greece before the party came to power in 2012. Also, Greeks cannot ignore that it was Samaras’s decision to fall back on populist tactics after SYRIZA won the European Parliament elections in May 2014 that triggered the process which led to snap elections with the bailout review not having been completed and only a two-month extension having been agreed. Potami presents itself as being above it all; a fresh voice in the haggard arena of Greek politics. However, at a time when Greeks are crying out for vision they can believe in, Potami remains stuck at around the 6 percent it received in January. In the current environment, with faith in the established parties waning, surely a party that represents change should be making greater headway. It does not reflect well on Potami that it should be struggling to inspire people when the Union of Centrists, a party run by an eccentric everyman, Vassilis Leventis, who rose to fame in the 1990s through marathon appearances on late-night talks shows on minor TV stations, appears to be gathering enough support to pass the 3 percent threshold for entering Parliament. 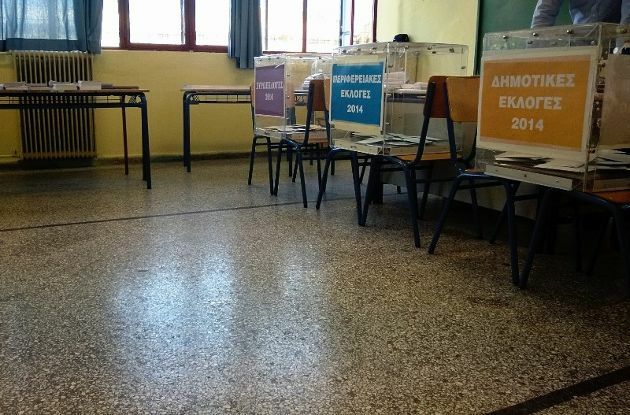 It is difficult to see what PASOK claims it can bring to the table apart from durability. The party has appeared to be on the verge of extinction for the last couple of years but has managed to hang in there. Under the new leadership of Fofi Gennimata, it is casting itself as a guarantor of stability – the party that can add the 10 to 20 seats needed by a SYRIZA- or New Democracy-led coalition so a government can be formed. Amid the political fragmentation, this carries some value but PASOK can hardly be seen as a force to bring positive change. That the party had run out of ideas was evident from the paucity of candidates in its leadership race. As the scion of a PASOK founder, Gennimata will find it difficult to convince voters that she can represent the country’s future, rather than its past. Then there are the defectors who formed Popular Unity. They have picked up where SYRIZA left off, continuing to promise an alternative path to austerity but strictly through a new national currency. The key problem that the breakaway party faces is that without a convincing plan about how a change of currency could work, its claims are merely hot air. So far there has been no indication that Popular Unity has any more coherent strategy than SYRIZA’s scrappy ideas about handling a Grexit. In this environment, it is difficult to see what Greeks are supposed to be choosing between on 20 September. They could be forgiven for thinking that their politicians are shirking responsibility by throwing the responsibility for deciding the country’s future back on them. It could be, though, that Greece ends up with such a muddled result that voters will simply pass back the buck and force the politicians to find a way to make things work. Obviously the Greeks are voting for which political party would have the fatal opportunity to implement the 3rd MOU straight towards its political extinction. And I think the honor belongs without hesitation to ND+Pasok+Potami and all other Yes parties in the latest Greek referendum. It's only fair that it is so.